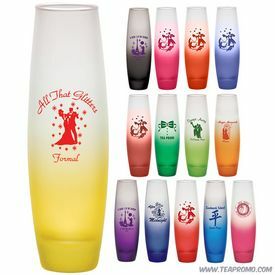 We offer various kinds of Promotional Flower Vases customized with your business logo. 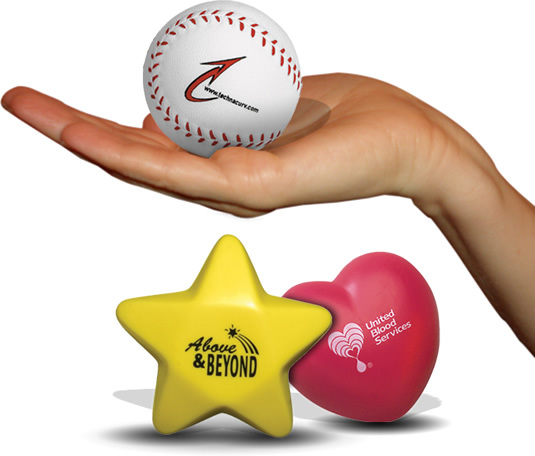 Take a look at our custom flower vases to use as promotional giveaways during advertising campaigns. 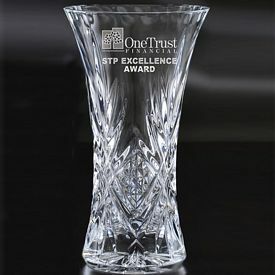 Your customers will be delighted at the sight of the beautiful engraved vases. 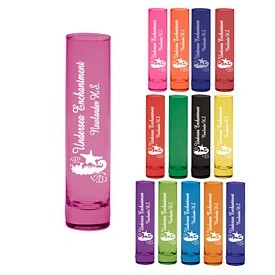 Promotional flower vases can be used at tradeshows, social parties, corporate events, and college parties. 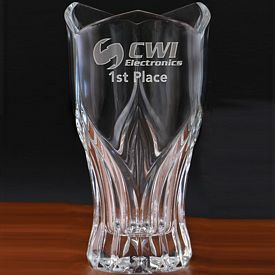 No matter what your business is, you can easily promote your company with our remarkable customized vases. The promotional foldable flower vases can be folded flat so that minimum storage space is occupied. 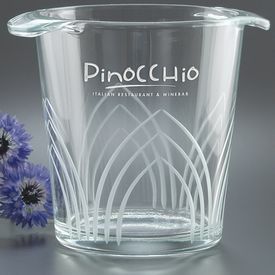 The customized vases form shape only when you fill them with water. 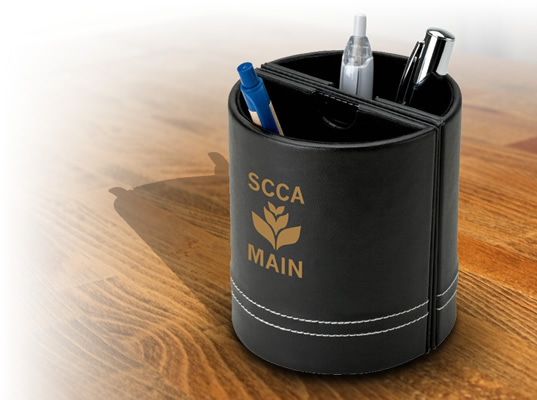 If you are looking for a unique marketing solution, then the logo foldable flower vases can be great for mailings or hand outs. 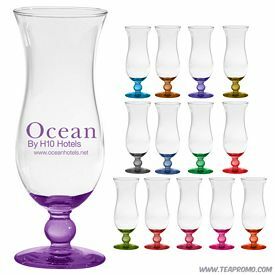 These clear vases are available in translucent Carolina blue, pink, fuchsia, lime green, orange, purple, red, charcoal or royal blue. We do not charge any setup fees on the customized flower vases. 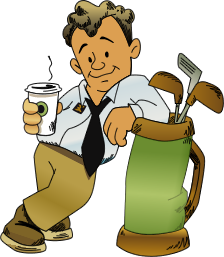 Free one color logo screen imprint and free artwork eproof will be done. 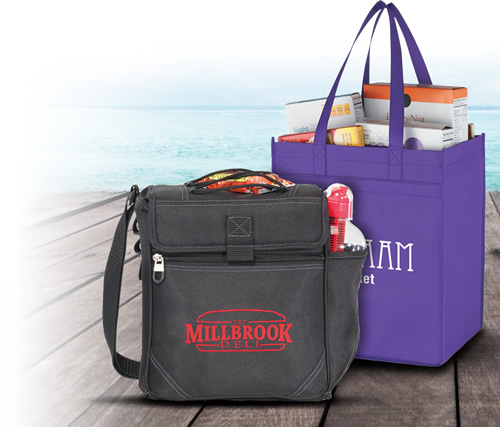 Multi-colored imprint can be done for an additional charge. 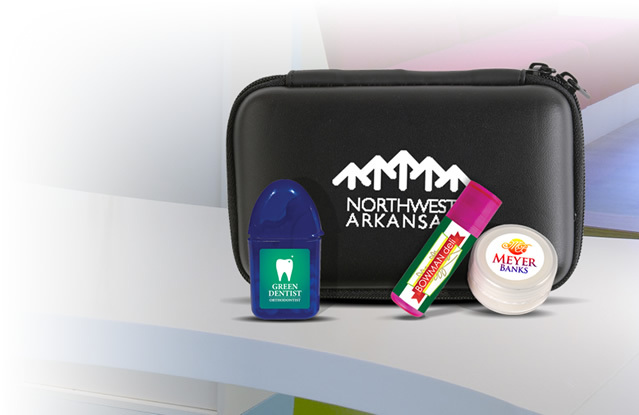 There is a free 24 hour rush production service on these promotional products. 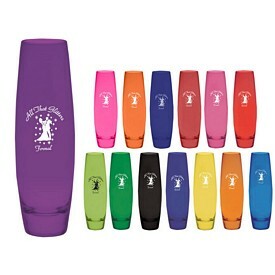 Essentials Glacier Vase Executive Flower Holders are excellent corporate gifts. 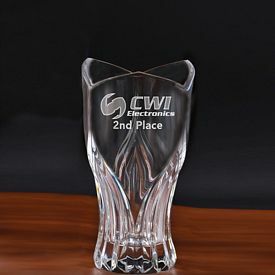 The custom standing vase is made of glacier acrylic and shiny chrome. 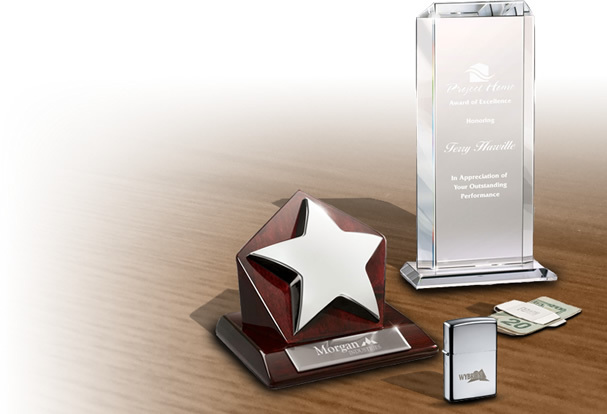 The silver vases come with a free laser engraved company logo and free artwork eproof. 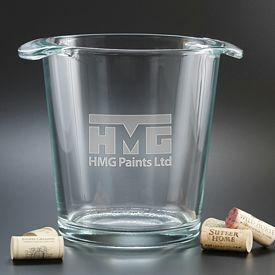 This customized flower vase is sure to leave a great impression on your customers and clients. 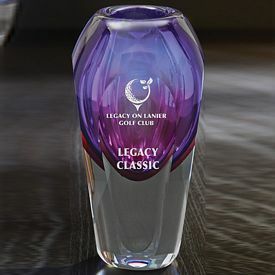 The logoed Balmoral Urn Vase is a classy promotional vase that will speak volumes about your brand. 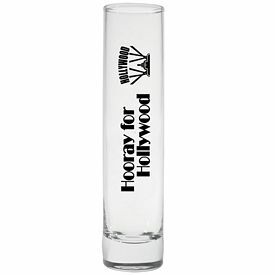 The promotional Urn vase has a 14"H x 7" diameter. This beautiful custom flower vase is made with 24 % lead crystal molten glass. Many layers of color are blown over the underlying crystal, and after that, the glass cutters cut through the layers to create the beautiful contrast between clear and color. One color imprint is free of cost. 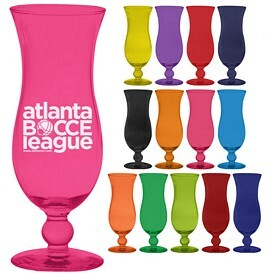 This logo flower vase is sure to bring attention to your company. Are you looking for something more colourful? Try our customized 7.5” Tall Green Custom Glow Amor Bud Vases. We do not provide any precious metal decorations or decals on these logoed vases due to the inherent custom glow nature of the vases. 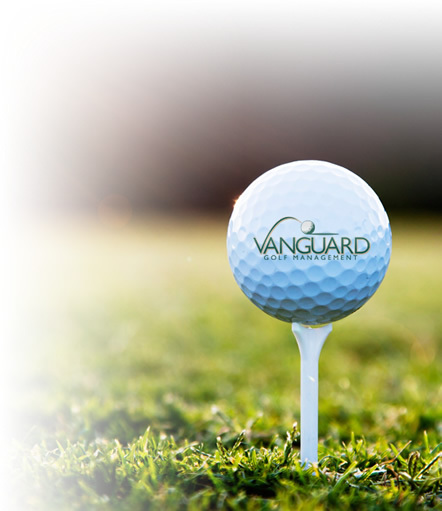 We employ screen printing to decorate your company logo. 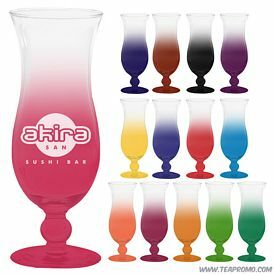 We offer this customized vase in many exciting colors. A different variety of the 7.5” tall bud vases is the bud vases with frosty glow. The frosty glow gives a satin like appearance to the exterior surface. 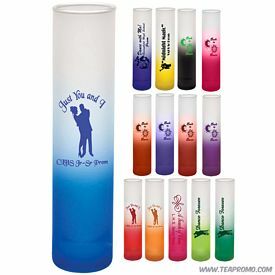 Color sprays can be in green, lime green, orange, pink, red, purple, yellow, process blue and royal blue. 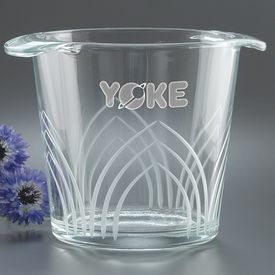 The customized small crystal vase displays class. 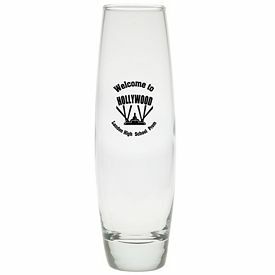 The size of the vase is 8.75" H x 4.25" W. A hand tag certifies that the vase has been produced using Swarovski optical crystal gems. 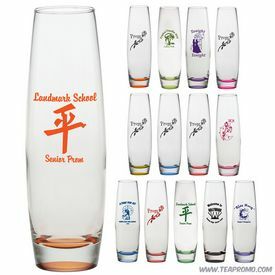 Come to The Executive Advertising for the best deals on personalized flower vases.